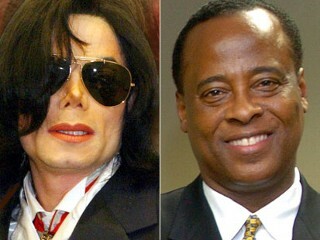 The disgraced former doctor - who was found guilty of involuntary manslaughter after delivering a fatal dose of Propofol to the King of Pop in June 2009 - has reportedly been fielding multi-million dollar deals to-tell all about the late singer and his family when he is granted an early release from prison in October. Murray has warned the 'Thriller' star's family that if they continue to push him "to the limit" by slating him in the press and in their wrongful death lawsuit against concert promoters AEG Live, he will not hesitate to dish the dirt on Michael's relatives - which he claims could "tarnish" their reputations. In a statement obtained by the Daily Star newspaper, he said: "Though I have encountered so much sorrow and I have a great deal of explosive information that is fodder for tarnishing images, I've remained loyal to Michael and to foes over the past four years. "I will continue to be faithful and endure unless and until I'm pushed to the limit and endurance is no more." The jailed physician has angered Michael's family by refusing to aid his mother Katherine Jackson's $100 million lawsuit against AEG - who she claims is responsible for the star's death by negligently hiring Murray - and has insisted he won't give evidence in the trial. Meanwhile, it was recently confirmed that Murray will receive early release from prison in October for good behaviour. Murray - who lost his medical license when he was found guilty - was jailed in November 2011 and will leave prison having served just under half of his four-year sentence.